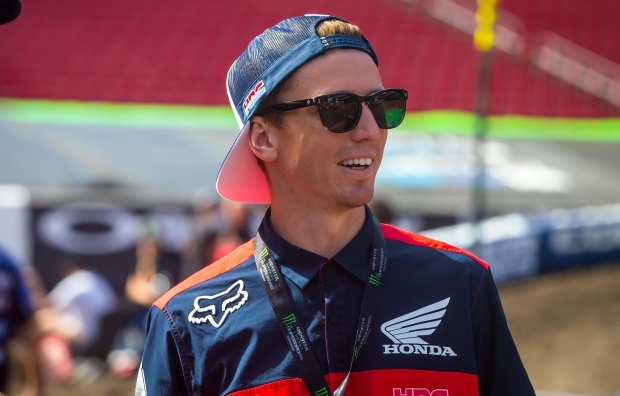 Prior to Saturday’s action, Team Honda HRC’s Cole Seely and Ken Roczen were joined by GEICO Honda’s Jeremy Martin, RJ Hampshire, and Cameron McAdoo for an appearance at Xtreme Powersports in Tampa to hang out with fans and sign autographs. 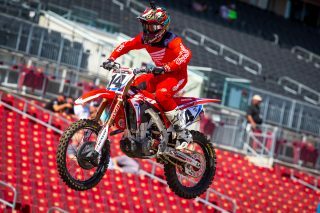 Though he’s not racing due to the injuries he sustained in San Diego, Roczen was in Tampa spending time with his team and fans. 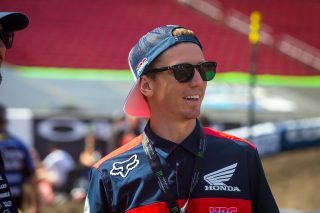 Roczen joined Jim Holley and Daniel Blair for an interview on Race Day Live, before sitting alongside teammate Seely for an autograph session. 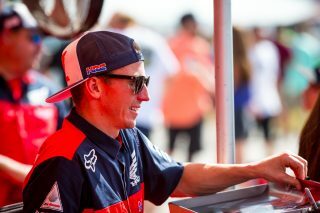 Even after the 30-minute session was completed, Roczen continued to take photos and sign autographs for his fans, who were excited to see him. 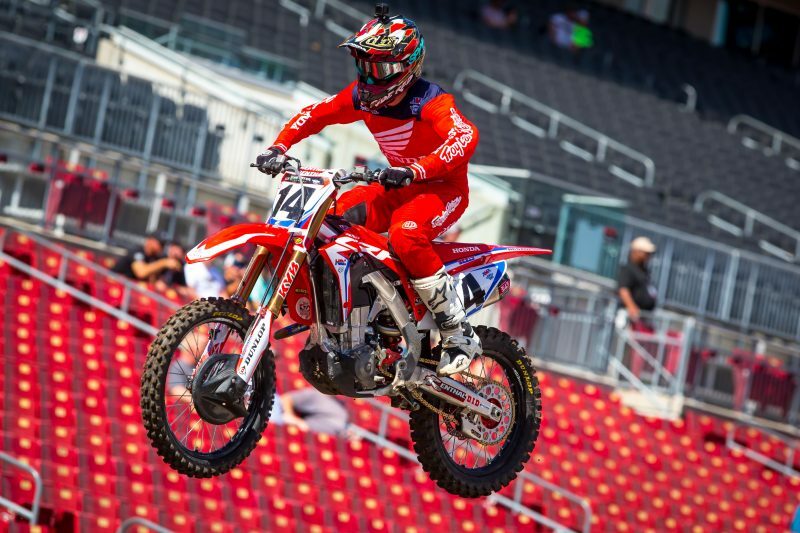 During the evening program, Roczen joined Jeff Emig and Ralph Sheheen in the Fox Sports 1 broadcast booth to discuss his injury and to commentate during the 450SX heat races. 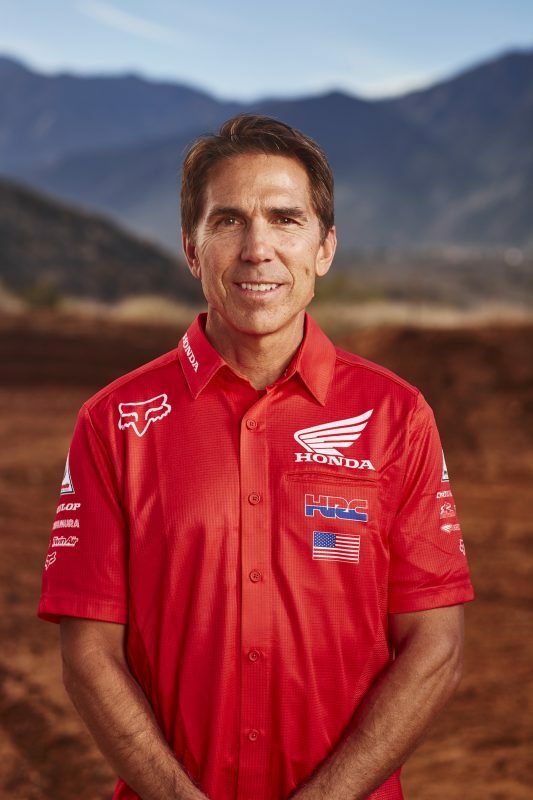 For the second consecutive week, Team Honda HRC helped support the Road 2 Recovery Foundation in their efforts to raise money for the Alpinestars Mobile Medical Unit. 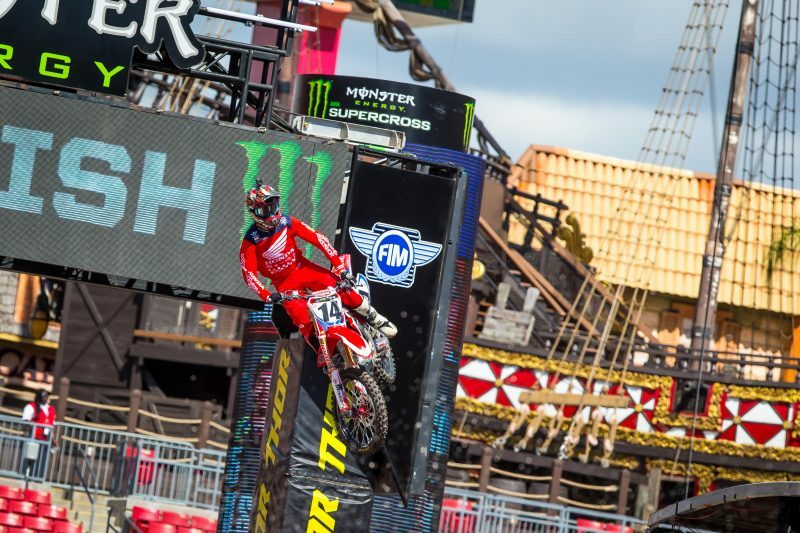 Two packages, each of which included a signed Ken Roczen jersey, a tech-truck tour, access to the team’s hospitality area for dinner, and a meet-and-greet session with Roczen, were auctioned off for a total of $2,403. 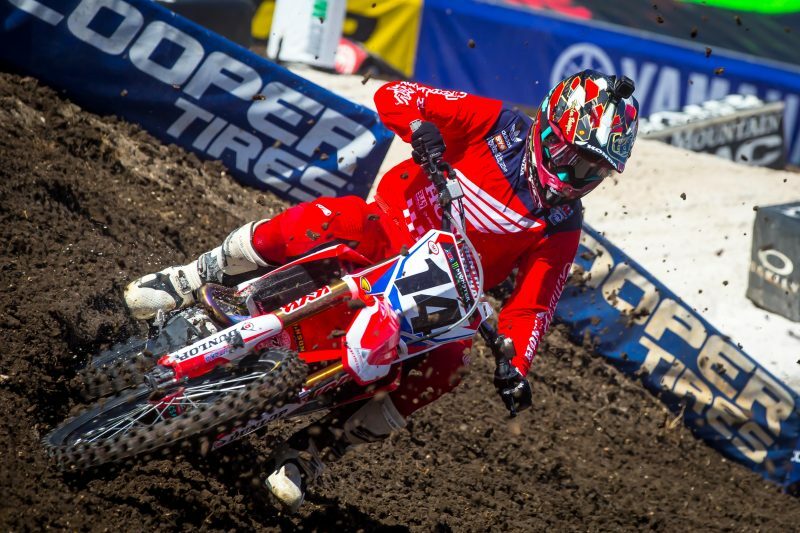 This week, the series heads to Atlanta for round eight. With both Roczen and Seely injured, Team Honda HRC’s status will be announced later in the week.